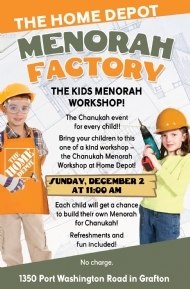 Sunday, December 2, 11:00 AM - Chanukah Menorah Workshop at Home Depot! Build your own Menorah for Chanukah! Bring your children to this one of a kind workshop. Refreshments and fun included! 1350 Port Washington Road in Grafton. Sunday, December 2, 11:00 AM. Click here. No charge. There will be a special public Menorah lighting on Sunday, December 2 at 3:00 PM in front of the Metro Market in Mequon. Enjoy Prizes! Roasted Marshmallows! Music, Refreshments and Dancing! click here! Join Mequon Jewish Preschool Families and Friends for an in-school chanukah program Monday, December 3 at 12:00 PM. Menorah lighting, songs and doughnut dipping! 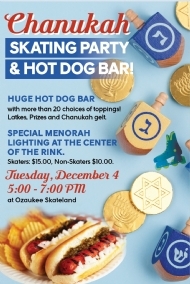 The Grand Chanukah Skating Party & Dinner will be at Ozaukee Skateland from 5:00 to 7:00 PM. There will be a Huge Hot Dog Bar with more than 20 choices of toppings! Latkes, prizes and Chanukah gelt. Special Menorah lighting at the Center of the Rink. Skaters: $15.00, Non-Skaters $10.00. Click here. There will be a public Menorah Lighting in Downtown Grafton, at the intersection of Wisconsin Avenue and Beech Avenue on Tuesday, December 4 at 7:20 PM. Bring the entire family to this historic Celebration of Lights! 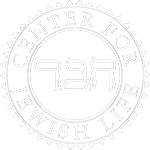 There will be a delicious and entertaining luncheon and chanukah program for seniors on Wedneday, December 5 at 11:30 AM. Enjoy delicious latkes, dougnuts and beautiful Chanukah songs! Light up the night and celebrate friendship at the Friday Night - Chanukah themed - Shabbat Dinner! Join Friendship Circleand CTeen Mequon for this very special evening!! Suggested donation: $5 per child, $10 per adult. Join the adults of our community for a Chanukah Celebration! Enjoy gourmet latkes, imported cheeses, fine wine, salad bar, lively music, fun games, dreidel tournament and of course, a Menorah Lighting!! We look forward to greeting you at this wonderful evening, at the home of Kate and Igor Zelenovskiy! 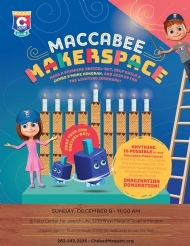 CKids Chanukah Maccabee Maker - Sunday, December 9 at 11:00 AM! The CKids Chanukah Factory! Bring your children to the CKids Chanukah Program on Sunday, December 9 at 11:00 AM! Make a spinning robot dreidel, be the Maccabee, build a delicious 'smore' menorah, and much more! Click here!